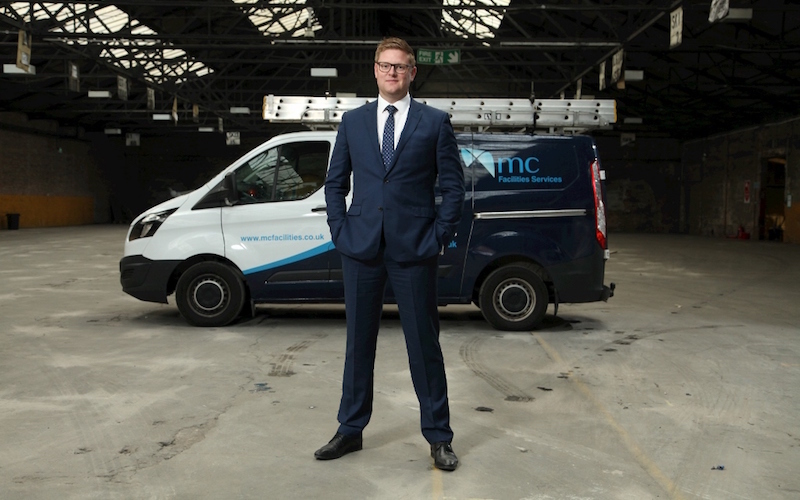 MC Construction has hailed the success of its new facilities services division, which has doubled its turnover target and nearly tripled its workforce in its first year. The company established MC Facilities Services in summer 2017 with eight staff. Its team, led by director Russ Forshaw, has grown to 22 as demand has increased, with the addition of staff specialising in mechanical, electrical and fabric maintenance works. Revenues for its first full financial year to September are on track to reach £2m, double the initial goal. The division’s private sector client base includes Kellogg’s, Bentley Motors, The Christie, U+I, The Peel Group and Robinsons Brewery. In addition, it has been appointed to the Crown Commercial Service’s £12bn, four-year public sector framework and Salford City Council’s responsive repairs and maintenance framework. Due to its rapid expansion, MC Facilities Services has now taken premises at the Mayfield Development Partnership’s site near Piccadilly Station. A 3,200 sq ft unit is being used as a platform from which to expand its city centre operations. Russ said: “We’re delighted with our achievements in our first full year. We have built a fantastic team of locally-employed tradesmen and have worked hard to establish a reputation for reliability, flexibility and trust offering a responsive service to our client base around the clock, 365 days a year. “Since the collapse of Carillion we have seen strong demand from customers seeking a trusted SME partner which can deliver an efficient and responsive service. Russ said the division is aiming for 20 per cent growth in revenues and staff numbers over the next 12 months and is on the acquisition trail to further expand its offer. “We are keen to identify companies which offer bolt-on specialist services such as air-conditioning installation and servicing, access control, fire alarm system maintenance and CCTV,” he said. In addition to minor works, building services and facilities maintenance, the division offers insurance reinstatement, fire remedial works, testing and inspection services and maintenance of canals and other waterways.